One of those discussing my work re: Steven Pinker over at Steve Sailer's column at Unz, "PhysicistDave" went off-topic to talk about my commentary about Ayn Rand. What a bizarre thing to believe - that I attacked Ayn Rand because of her inability to lie. Who would believe that about even their worst enemy? They attack people for their honesty. And how do I "attack" her? By suggesting she had Asperger's? Right-wing racists really do think differently from the rest of us. a world thus emancipated will be ugly, brutish, and dull. It will lack the excellence of a world where the better man commands the worse. Boy howdy, is that the essence of the Rand world-view. And because she was such a bad novelist, not only is the world of Atlas Shrugged ugly, brutish and dull, as the result of the tyranny of the worser men over the better, but the worser men themselves are ugly, brutish and dull. PhysicistDave mentions my play with a Rand character, DARK MARKET. 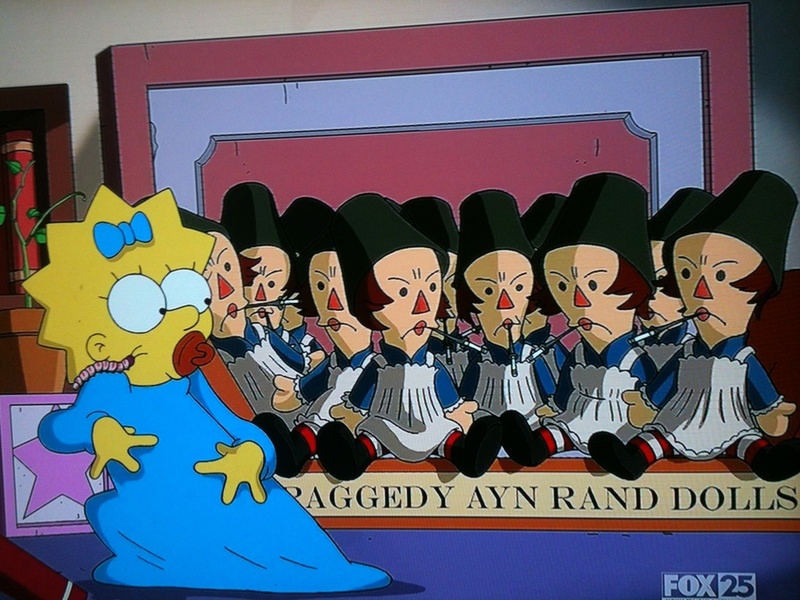 Anyway as far as Ayn Rand's inability to lie: she could not dissemble about her "premises." And dissembling is not the precise same thing as lying. But also as these statements from September 1968 make clear, Rand had help when lying about her affair with Branden - including from Alan Greenspan. It's my understanding that after this letter she refused to talk about Nathaniel Branden at all. So she'd hardly have an opportunity to lie, alone and off-the-cuff, about the Branden affair. I certainly did write a lot about Ayn Rand on this blog for a period of a couple of years, but for the past almost two months my fixation is on Steven Pinker and his connections to the alt-right, which very much includes his connection to Steve Sailer. Yes I agree that Pinker is crafty about where he stops defending honest people by name, and switches to a broad-based blanket-defence, simply arguing for allowing honest discussion of all viewpoints. So for example he was willing to defend Lawrence Summers by name, but only would defend Jason Richwine and James Watson in a general sense. So, yes, he does scamper away when the SJW lynch-parties get truly fierce. Is that smart or cowardly, or a little bit of both? I believe the mot juste is "weaselly." 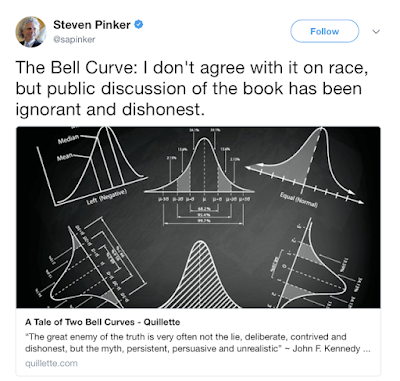 The most telling aspect of Pinker's denial that he agrees with racialists about black intelligence, I think, is that he never explains why he thinks the racialists are wrong. It's a pretty important issue, you'd think he would address it. Instead he consistently pivots to talking about the meanies who criticize, for instance, The Bell Curve, for its racism. But isn't it nice that I can find common ground on at least this one thing with people I agree with about nothing else? Why do evo-psycho bros hate Head Start so much? Happy Black History Month, evo-psycho bros! Could I love Justin Trudeau even more?